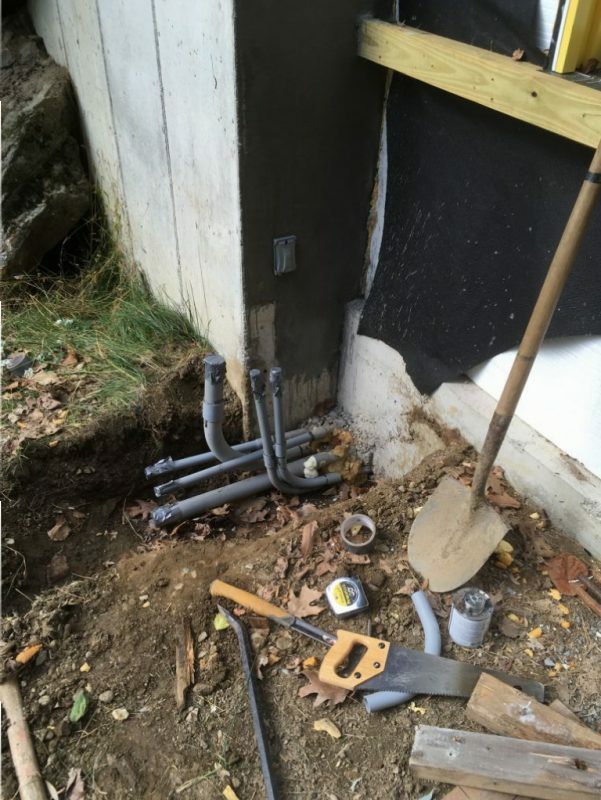 Of Mini-Splits and Electrical conduits…..CALL 911!!!!!!!!!!!!!!!!!!!!! Will you look into the mirror? Even the wisest cannot tell, for the mirror shows many things. ….and some things…that have not yet come to pass. The Elven queen Galadriel talking to Frodo Baggins. You have to look yourself in the mirror….And think about what you see. Welcome again Free Folk of Middle Earth to another installment of the Hobbit Hollow Construction Blog! Lord of the Rings geek in me coming out in full force. It cannot be helped people. So sorry. Would you look in the mirror??? So for all you non Lord of the Rings fans the mirror is actually a basin in which, Galadriel pours water. Once the water is still and you look into it you will see things. Things that were, are, and some things that may not yet have come to pass. Get it. Got it….Good. I actually picked one up the other day. 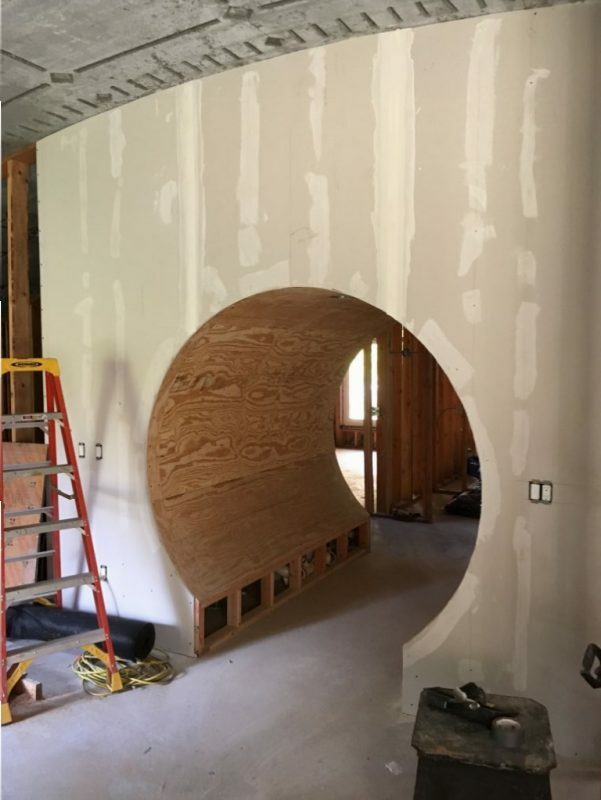 You know for the Hobbit house. So when people come over I can offer them a look in the mirror. I found it on Craigs List. Pretty cool. So I got the water into it and took a look. I saw the future. I was lying in my bed and saw my daughters cat on top of me choking me with it’s little paws around my neck. Weird. Even weirder. I heard this hideous cackle in the background. It sounded like my Mother-in-Law. For the record I threw the mirror out. Who wants to look into something like that anyway,right? So stupid. That is a true story though. I think that dopey cat is trying to kill me. No comment on the Mother-inLaw thing. I just had the unfortunate experience of watching my dreaded Jets lose again to the Falcons. Did you ever hear that joke about the guy who was banging his head against the wall? No. Okay. So this guy is banging his head against the wall and his friend comes over to him and says to him why are you banging your head against the wall? The guy replies: Because if feels so good when I stop. That’s sort of how I am with the Jets. I’m so glad this game is over. I can finally get back to doing something constructive. You know like looking out the window and watch the rain fall. I have to stop watching. I really do. Oh yeah one more thing before I get to the blog. I guess this isn’t part of the blog. It’s something else. Skip ahead if you want to read the blog. Let’s get going Jim it’s going to be Thanksgiving soon. Anyway she made stuffed pork chops this week. (You have to keep in mind she’s a swamp Italian. They don’t know that the only thing that you’re supposed to stuff is a turkey.) They were really good. But like I said I don’t like to chew very long. So one of the pork chops got stuck in my throat. You ever see that emoji with the big bug out eyes. Well that was how my wife’s eyes were. I mean I wasn’t nervous or anything. I could breath but this damn pork chop wouldn’t go down.Then the hysterics start. OH MY GOD CALL 911!!!!!! I indicate to Ethan to slap me on the back which he does but it doesn’t help. Then my Mother-in-Law starts with the give him the Heimlich maneuver. She comes around the table to give me the Heimich. In my head I’m thinking, “If this was serious I would definitely be dead cause there is no way a 79 year old woman who has a bad arm is going to be able to do the Heimlich successfully.” My wife on the other hand is calling 911 and then I coughed it up. So that was an exciting dinner. At least that part of it was. Then I was screamed at by my Mother-in-Law about going to get checked out by a doctor. For what?? I choked on a pork chop. Hmmm. Maybe I should go to the doctor and bring one of those pork chops with me. See what he thinks. Actually she didn’t scream at me. But if you were there you would have thought that she was screaming. Everything comes out very loud. Needless to say I didn’t finish the rest of my pork chop. The stuffing was a nice touch though I have to tell you. Let’s start the blog part of the blog shall we? So the non blog part took a lot longer than expected so I’m going to be a little brief. I did a lot of little things this weekend which set us up for success with our upcoming subs if you will. 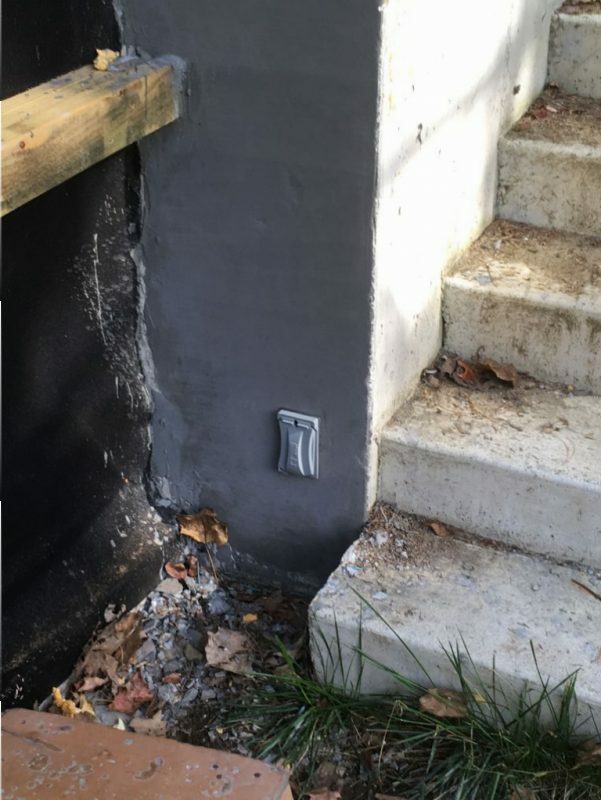 First I wired the breaker for the mini split heat pump as well as the breakers for the exterior GFCI’s (short for Ground Fault Circuit Interrupter outlet) on the front and back of the house. The exterior GFI outlets are nice because now I don’t have to run an extension cord through a window to work outside. The GFI’s took time to wire though. It was a tight squeeze into the outlet box. Check it out. Installed three GFCI’s. Two in the front and one in back on a separate breaker. So I set these outlet boxes and the wire into the concrete way back when when we poured this like 8 million years ago. Everything worked nice too. The other thing that I wanted to get done was secure the conduit for the mini split heat pump on the roof. This involved some formwork and extending the pvc pipe up there. I wanted to make it solid so someone wouldn’t step on the pipe and possible mess things up later on. The 2 inch pvc is for the copper lines and the 1 inch pvc is for the 10/3 wire for the unit. Check it out. Concrete formwork for the support . After I poured it I threw small stone on top of the concrete. I kind of wanted to see how it would come out. Finished off with 3/8 pea gravel. The other issue I had was setting up the exterior conduits for the excavator guy. I needed to expose them so I could show him which ones I want going where kind of thing. Let me show you a visual. So the 2 inch horizontal is the power going to the garage. The 1 inch horizontal is for walkway lighting and tree lighting. The vertical 2 inch is for a generator if we lose power. The other two vertical 1 inch I don’t know what they’re for. At least I can’t remember. The worst part was the digging. When I was done I felt like I had been beaten severely. I took two Advil right after that…and crawled to my truck. I also set the 2×6 front and back to indicate the final grade and separate the grade from the gravel which will be next to the house. Forgot to take a picture. You’ll get it once it’s done. I also wired the lights in the mechanical room and started the kitchen lights which is a pretty big task. During the week I also taped the second coat of tape where the exhaust unit is going to be in the living room. Will call Monday about the mini split install. Oh yeah check out this picture I took at the end of the day. 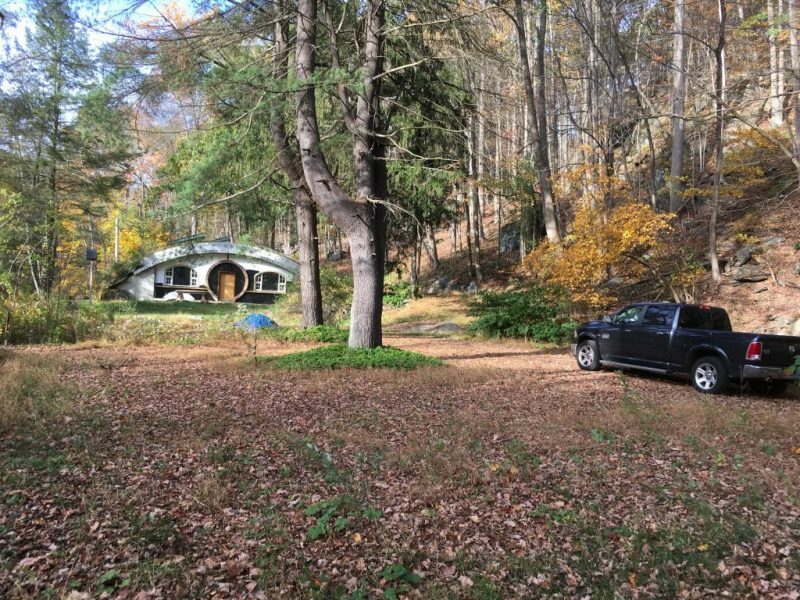 A fine fall day at the Hobbit. And make sure you chew your food properly! 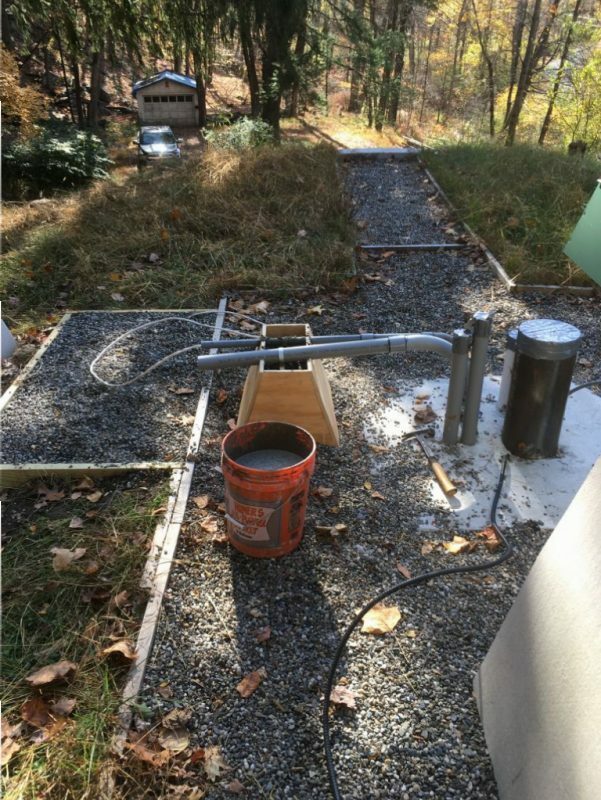 Of Heat Pump Prep……..The Gravy….It’s Homemade!!! Of the Laundering of Money?……The Return of the Boy!!!!! I guess I’m not going to be making any T-bones for you,I’ll just bring my blender and chop everything up for you.As far as the Heimlich you forget I was a nurse and I taught CPR for 8yrs,well all thats in the past. But I could have done it.I’m going over my menue next week will be fish,soft enough? you did scare me who would be my antagonist if you weren’t around,I know you love to make fun of this old lady and its fun,because you know I love ya and take it with a grain of salt,keep it up, You will never get to me us old Italian ladys are tough. Keep up the good work on the house it is really lookin good,maybe I could live in it for a while when you finally finish the darn thing. actually the meal the other day was great. And yeah you know how much I love fish. Thanks for everything…including trying to give me the Heimlich. I know how concerned you were. Looking forward to Friday with you and Terence. The place is starting to shape up real nice. Don’t forget about low voltage stuff — cable TV and/or phone lines. 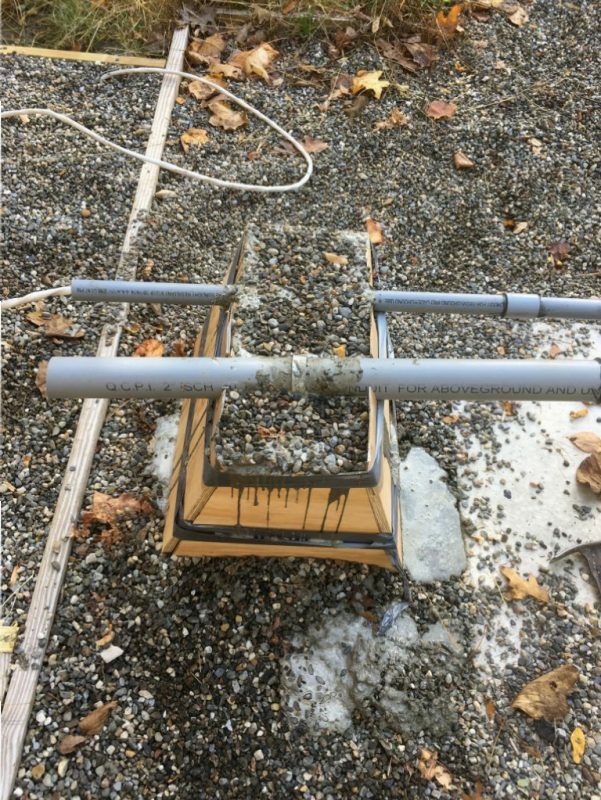 Maybe in one of those other 1″ conduits. Hi Frank! Nice to hear from you. Yeah I have the cable TV and the phone line conduit on the North side of the house. That line is already in place and out to the telephone pole. I don’t know a thing about low voltage though. As far as walkway lighting is concerned. Have to look into that soon. It was a good idea to put extra conduits in though. So simple early on. A disaster later. Thanks for keeping in touch. I hope all is well.